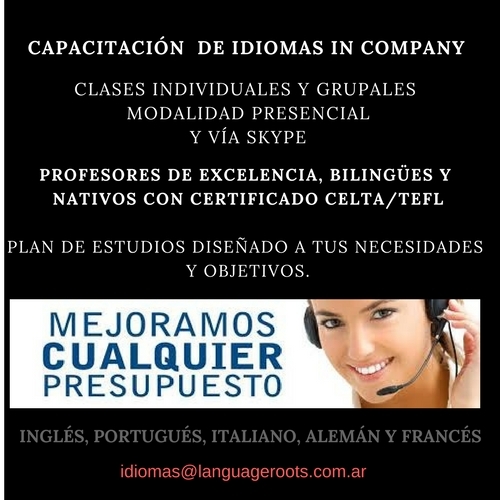 LANGUAGE ROOTS, ES UNA EMPRESA DEDICADA AL DICTADO DE CLASES DE IDIOMAS. 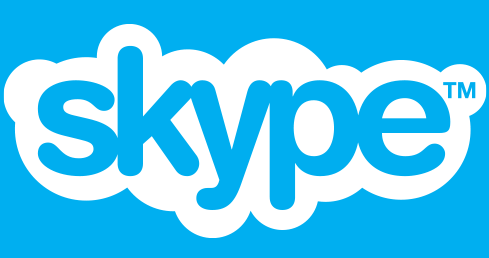 MODALIDAD: INDIVIDUAL, GRUPAL, IN COMPANY, VIA SKYPE, EN DOMICILIO. C​ONTAMOS EN NUESTRO EQUIPO CON PROFESORES DE EXCELENCIA. PODEMOS TRABAJAR JUNTOS EN UNA SOLUCIÓN A MEDIDA​. PAGA TUS CLASES CON TARJETA DE CRÉDITO! CLASES DE APOYO TODAS LAS MATERIAS. Nivel Egb , Polimodal y Universitario. Ingreso CBC.